Jaroslav Burian graduated in Applied Geoinformatics from the Department of Geoinformatics, Palacký University in Olomouc, Czech Republic, in 2007. He received his Ph.D. in Cartography, geoinformatics and Remote sensing from Charles University, Prague in 2012. 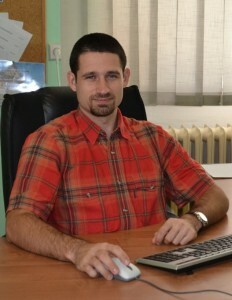 He has been working as a assistant professor focused on geoinformatics in human geography at the Department of Geoinformatics, Palacký University, since 2007. Dr. Burian teaches courses that focus on geoinformatics applied in public administration, spatial planning and human geography. His professional specialization is primarily on the issues of urban planning and modelling of the urban processes in GIS. As the author or co-author, he has more than 60 scientific and popular articles and has co-authored two atlases and 4 books (eg. Advances in Spatial Planning).